The kitty - lion is made in the 4x4 and 5x7 hoops. It's head fits the 4x4 hoop and the body fits the 5x7 hoop. Head and body are made separately and then attached. 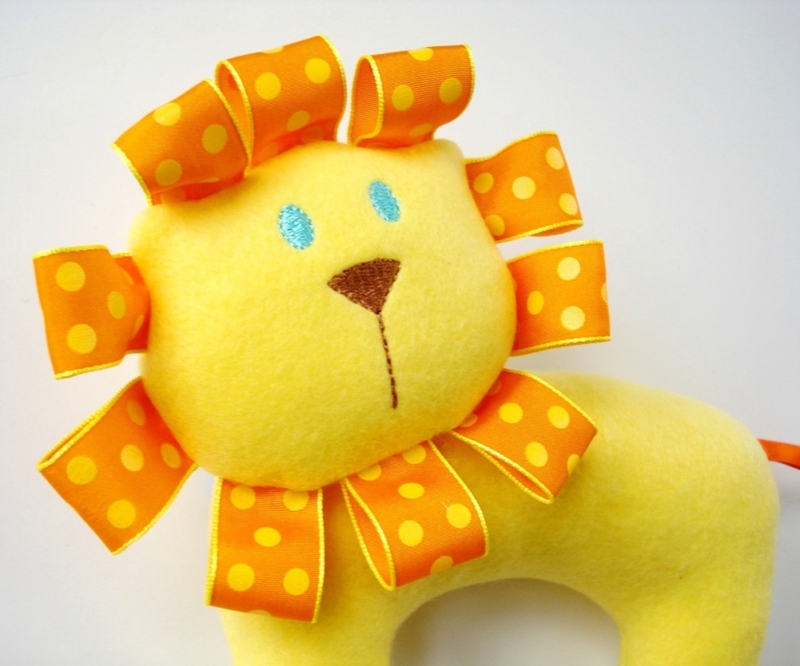 Assembled kitty is approximately 6” x 6” – Ribbon mane makes lion slightly larger. Ribbons for lion’s mane are attached in the hoop. Optional ribbon bow on kitty is attached after assembly. 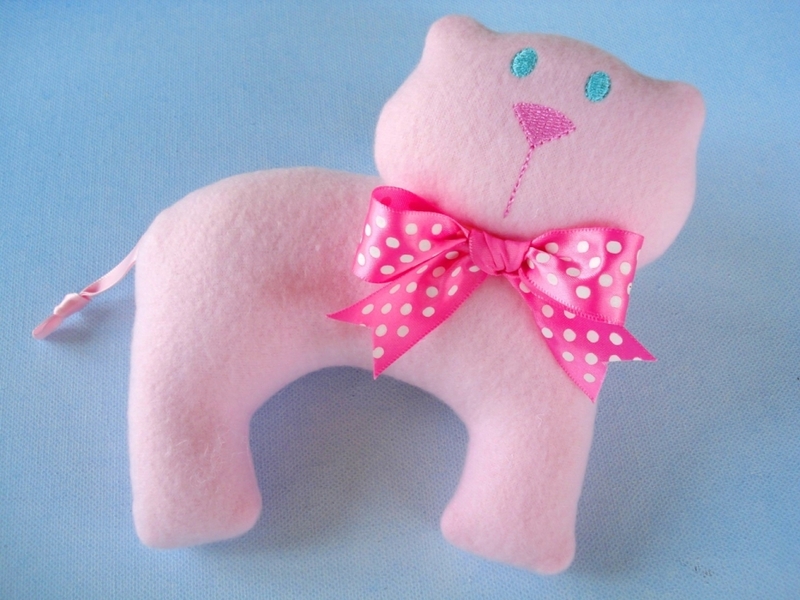 Sample kitty and lion softies are made from fleece. Felt and cotton fabric can be used. Fleece and felt work best! 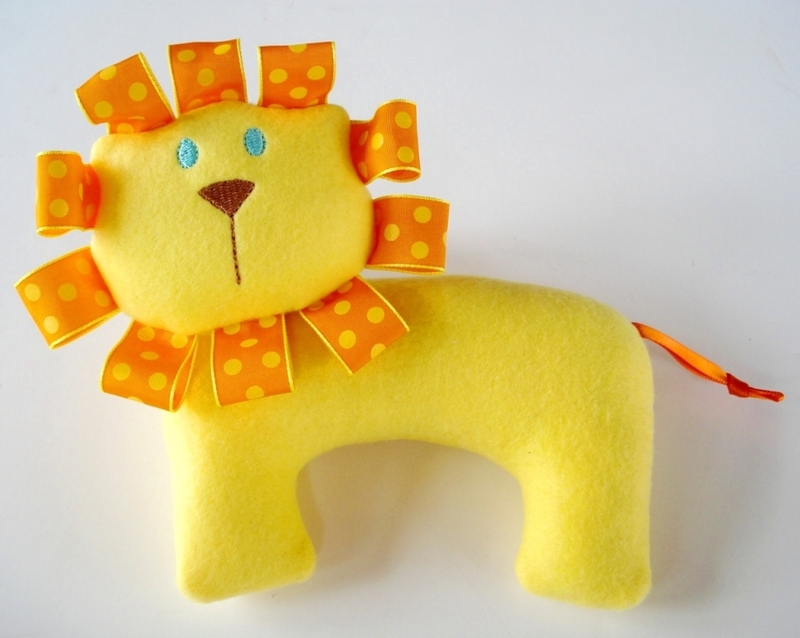 The kitty - lion is made in the 4x4 and 5x7 hoops. It's head fits the 4x4 hoop and the body fits the 5x7 hoop. Head and body are made separately and then attached. 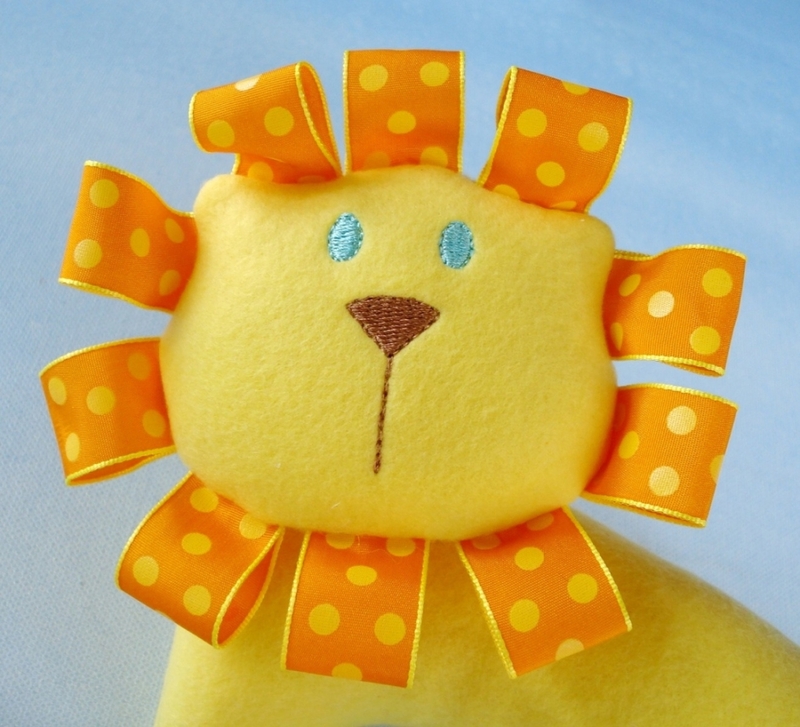 Assembled kitty is approximately 6” x 6” – Ribbon mane makes lion slightly larger. Ribbons for lion’s mane are attached in the hoop. Optional ribbon bow on kitty is attached after assembly. 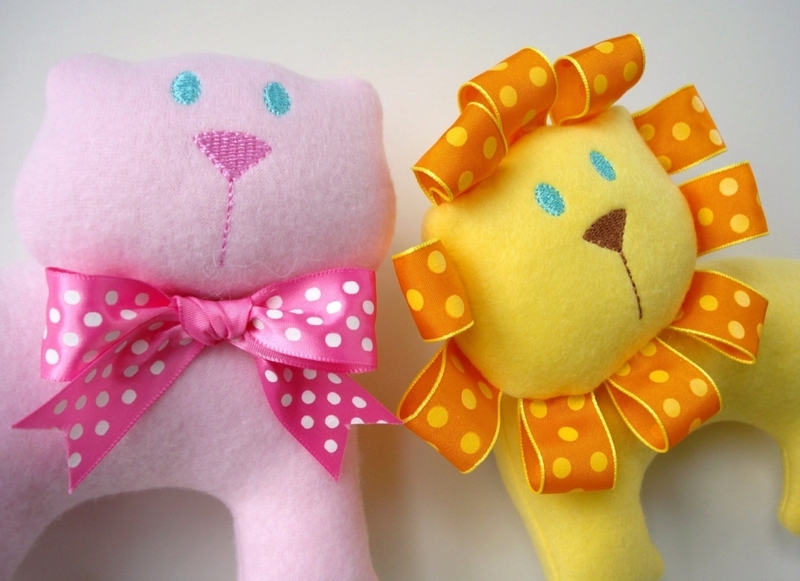 Sample kitty and lion softies are made from fleece. Felt and cotton fabric can be used. Fleece and felt work best! In The Hoop, Felt Fabric Flowers - 2 Sizes! In The Hoop, Bear Softie - 3 Sizes! Finish Size: Head 3.75" x 3.08"
Finish Size: Body 4.50" x 6.70"